So I was talking to a prospective student this week, and I was asked the question, “How do I choose between several schools I am excited about?” This question struck a chord with me. For one, I felt this as a prospective student. I was very interested in three schools, all of which were completely different from one another. I remember wanting God to take away all desire for all but one school so that the decision would be clear. It didn’t happen. 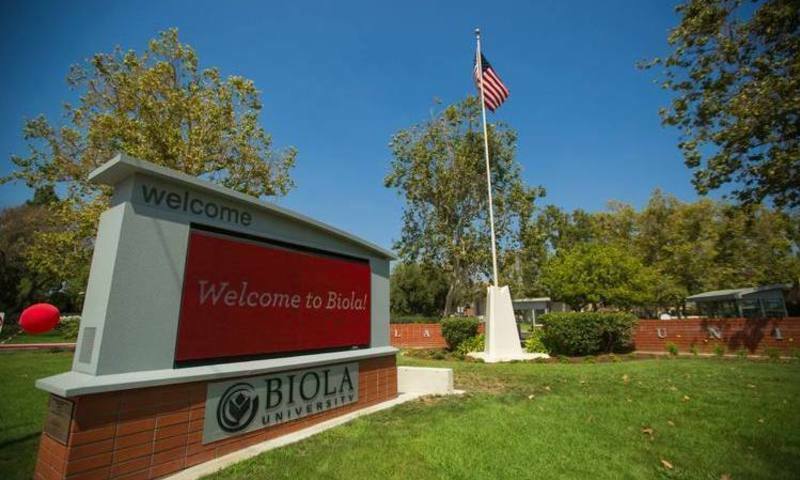 What will it take for you to put your enrollment deposit down somewhere (hopefully at Biola!)? How is it possible to choose one good thing while closing the door on other schools you have significant interest in? First off, know that you are not alone. There are students across the country sweating out their college decision even though it might seem like your friends are certain of their decisions. With anything in life, isolating your problems and believing you are the only one feeling these things amplifies the stress that you feel. Take a breath. Take one more. It’s going to be ok.
Secondly, I think it's important to understand and sort through your concerns about each school. Sometimes it is so easy to focus on all the great things you love about a school that you neglect some glaring weaknesses about that school. As you rationalize these weaknesses, you will find that some apparent weaknesses can be overlooked or supplemented while others cannot. For example, I had major concerns with both of my top two schools (both of which I was still very excited about). One concern was with a public school close to home. The concern I had was that I didn’t feel confident about what I would major in. This was a legitimate concern that could not be avoided. In contrast, my other top choice (Biola) concerned me because it was 3,000+ miles away from home. Although this was a legitimate concern, I knew I could overcome it. Looking back, I came to the school I felt passionate about academically (kind of the point of college right?) and worked out the long distance fright. Evaluate the weaknesses of each school and find out if those concerns can be overcome. Finally, trust God in your college decision. I know what you’re thinking… “Uhhhhhhh there he goes… Last time I read a Bible major’s blog.” Hear me out. The idea of the sovereignty of God is the most freeing concept in our lives. Because God is sovereign, you are free to choose whatever school and He will meet you with that decision. The Lord already knows where you are going to school and will not be surprised by where you go. He has a purpose and a plan for you that you cannot get in the way of if you are faithfully serving him. The Lord actually cares more about the small decisions you make each day to follow him more than the big decisions that we stress so much about. Guys, we trust in Jesus with eternity! That’s insane! Eternity is quite a large thing to entrust to God. If we as believers can trust him with eternity, can you trust him in where you are going to college? Thanks for reading! Praying for you guys!